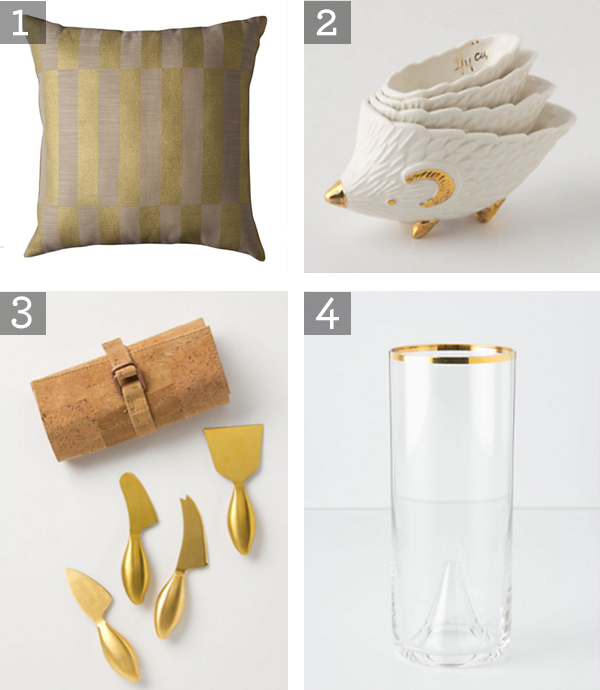 Shimmer, glitter and gold accents have been popular for a while now. Although I am really growing fond of this look, I feel that sometimes too much can be overwhelming in everyday life. Here are some items that can help you introduce a little bit of shine, without overdoing it.